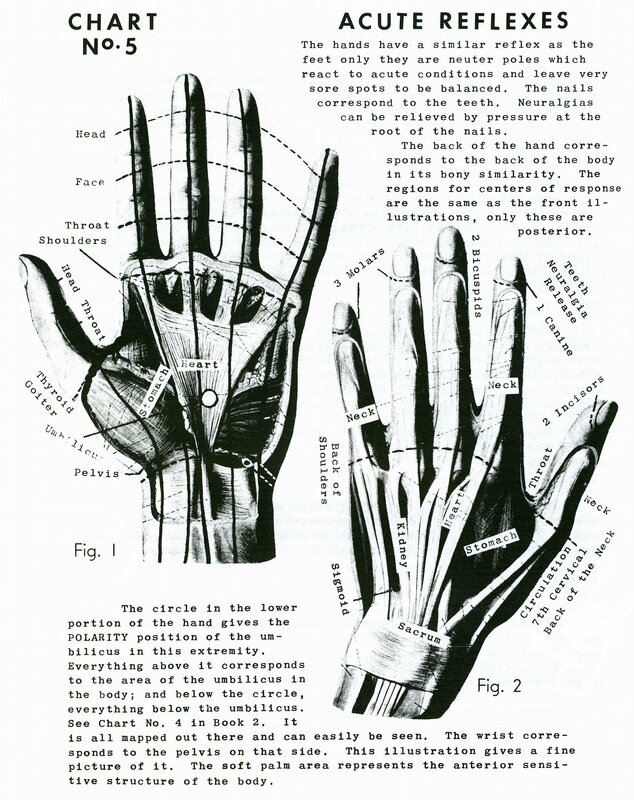 The circle in the lower portion of the hand gives the polarity position of the umbilicus in this extremity. Everything above it corresponds to the area of the umbilicus in the body; and below the circle, everything below the umbilicus. See Chart No. 4 in Book 2. It is all mapped out there and can easily be seen. The wrist corresponds to the pelvis on that side. This illustration gives a fine picture of it. 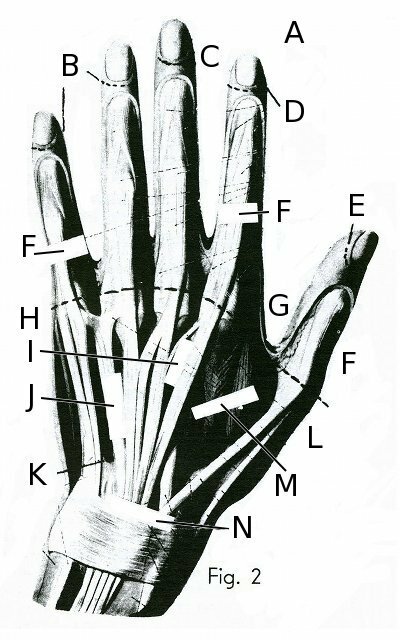 The soft palm area represents the anterior sensitive structure of the body. 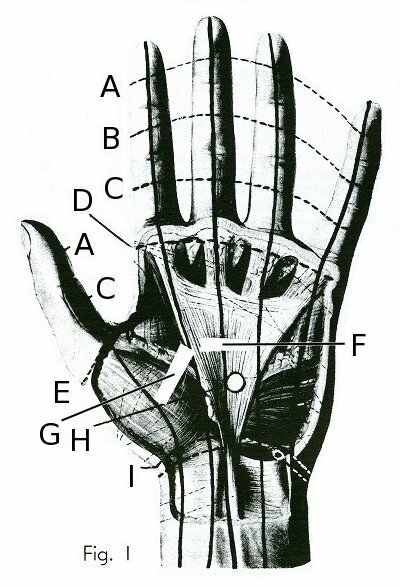 The hands have a similar reflex as the feet only they are neuter [neutral] poles which react to acute conditions and leave very sore spots to be balanced. The nails correspond to the teeth. Neuralgias can be relieved by pressure at the root of the nails. 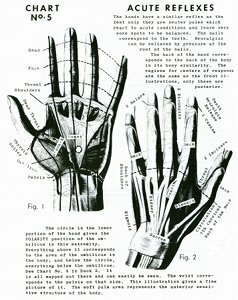 The back of the hand corresponds to the back of the body in its bony similarity. The regions for centers of response are the same as the front illustrations, only these are posterior. Book 5, "Explanation of Chart No. 5"